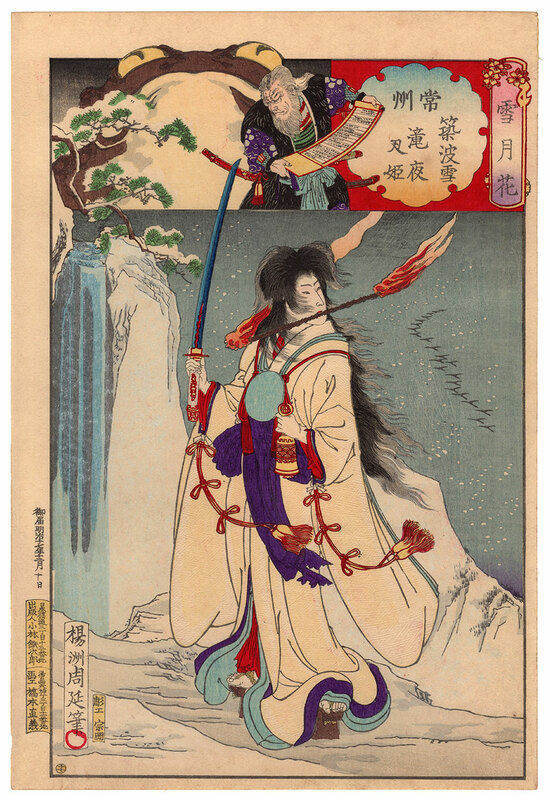 We are on Mount Tsukuba (筑波山), in the ancient province of Joshu (常州), and Princess Satsuki (五月姫), whose father was killed by the emperor because a rebellion, after praying the deity of rain to help her to obtain revenge, receives from a mysterious wizard, visible in the upper part of the work, a magic scroll containing the secrets of the magic of frogs. 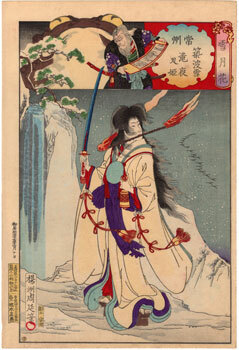 Thus becomes a sorceress able to summon demons and a fighter, changing her name to Takiyasha (滝夜叉). 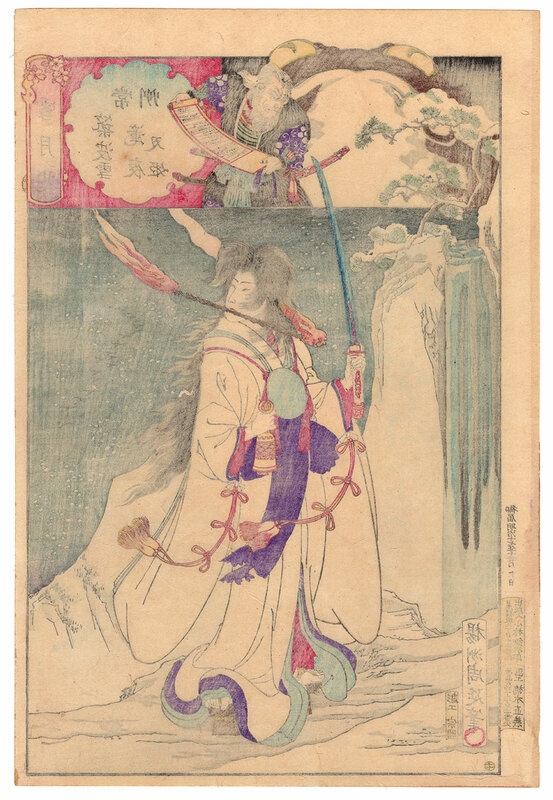 This precious representation of the protagonist of the aforementioned famous legend of the Heian period (平安時代) is taken from the series "Snow, Moon and Flowers" (雪月花), made in 1884 by the artist Toyohara Chikanobu (豊原周延). 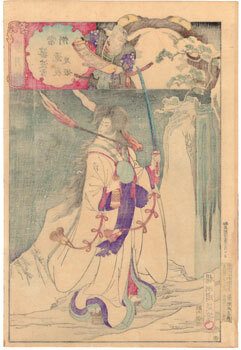 The print on Japanese washi paper (和紙), edited by the publisher Kobayashi Tetsujiro (小林鉄次郎), is in very good general condition.